A handmade platinum 0.6ct Emerald Cut Diamond Engagement Ring set with a 0.6ct Fvs GIA certified emerald cut diamond. 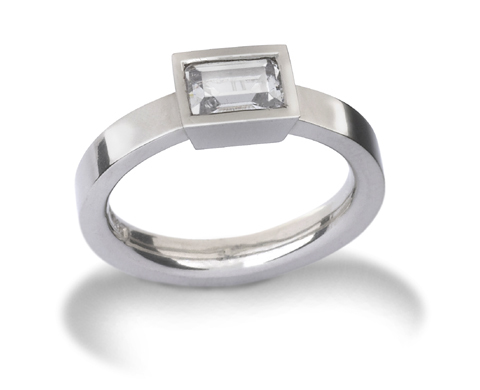 Also available in other metals, different size diamonds to suit most budgets and with alternative coloured gemstones. Click here to view our address and opening times. Pruden and Smith, 2 South St, Ditchling, East Sussex, BN6 8UQ, UK. +44 (0)1273 846338 and discuss your design requirements. Click here to subscribe to our email newsletter. exhibitions, new products and special offers. © 2019 Pruden And Smith. All Rights Reserved.